(English) TOMI Rio NOW: TOMI was the 2017 hit in Rio! Disculpa, pero esta entrada está disponible sólo en Inglés y Portugués De Portugal. For the sake of viewer convenience, the content is shown below in this site default language. You may click one of the links to switch the site language to another available language. TOMI was the 2017 hit in Rio! 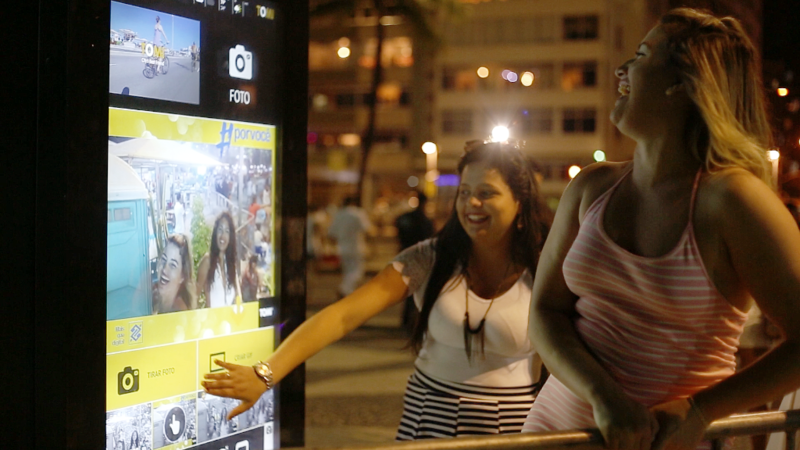 # Rio de Janeiro’s best friend: new locations in 2017! In 2017, TOMI strengthened its role as Rio de Janeiro’s best friend. 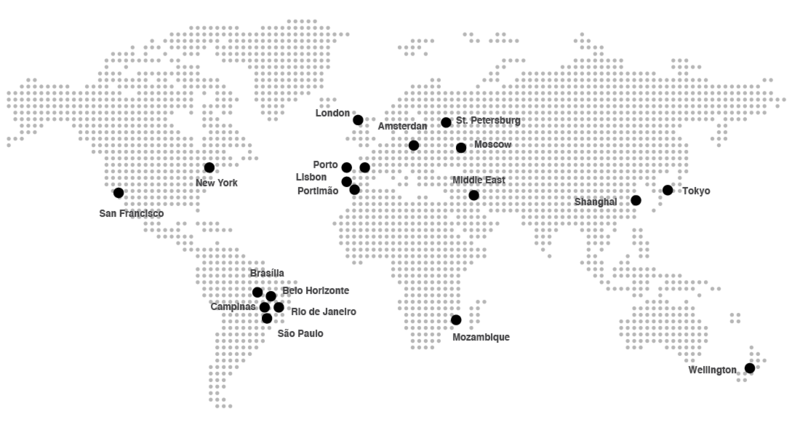 After being in Copacabana and Leme for the past year and half, TOMI expanded to new locations and neighbourhoods. 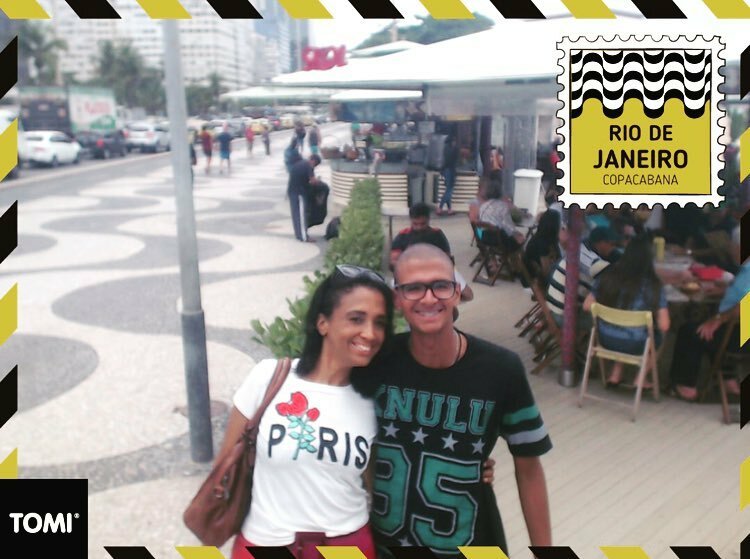 In 2017, TOMI went to new locations in Rio de Janeiro in the buzzing neighbourhoods of Centro, Leblon, São Conrado, Barra da Tijuca and Recreio dos Bandeirantes! TOMI was also a hit in Rock in Rio bringing 10 TOMIs to the festival. # TOMI helped everyone to enjoy the Carnival! During the Carnival celebrations, TOMI was busy helping cariocas and tourists. From February 24 to the 28th, TOMI Rio’s network registered an increase of 135% on the daily average interactions. “Carnival” was the most searched topic, representing over 78% of the interactions within the “Events” module! 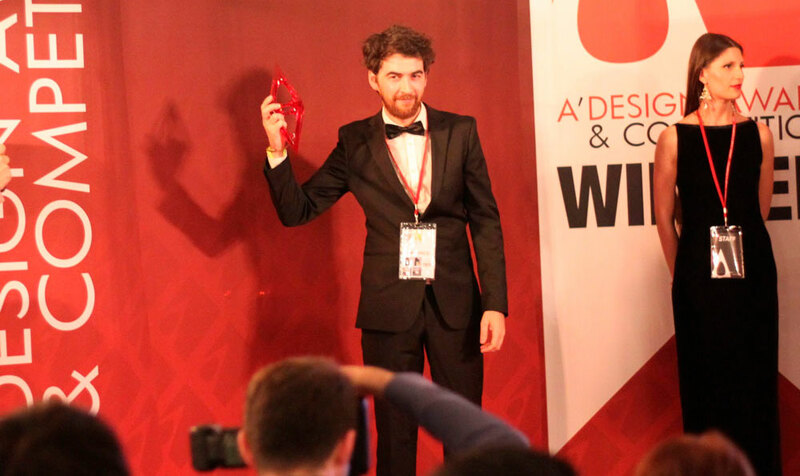 In April, the A’ Design Award and Competition announced that the TOMI design had been granted the famous Golden A’ Design Award in Interface and Interaction Design Category. 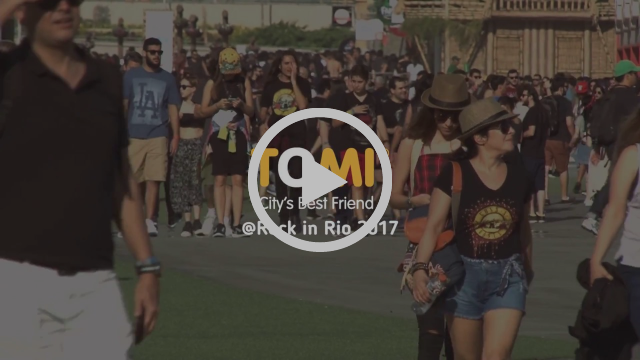 Rock in Rio 2017 counted with 10 TOMI, bringing more interactivity, information and entertainment to the public in the seven days of the festival, registering more than 178 thousand interactions, 782 thousand views and more than 28 thousand shared selfies. In 2017, TOMI’s TV Spot area became an interactive screen. 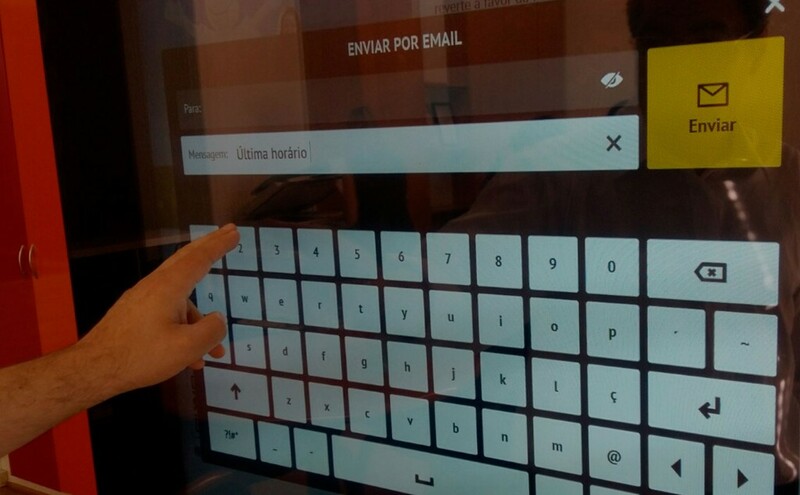 By touching the video area on the screen, TOMI’s users are redirected to the content related to that same video. TOMI’s keyboard is Faster, Simpler and Smarter: it autocompletes what you want to write, shows predefined messages and suggestive words when you type. It also has shortcuts to the most visited categories. In 2017 we introduced the TOMI GIF: you can choose between the popular selfie, or the creation of a GIF. Let your imagination run free and just have fun! After the GIFs, came the animated frames! In 2017, TOMI offered the possibility to have animated frames and to create even more engaging GIFs! 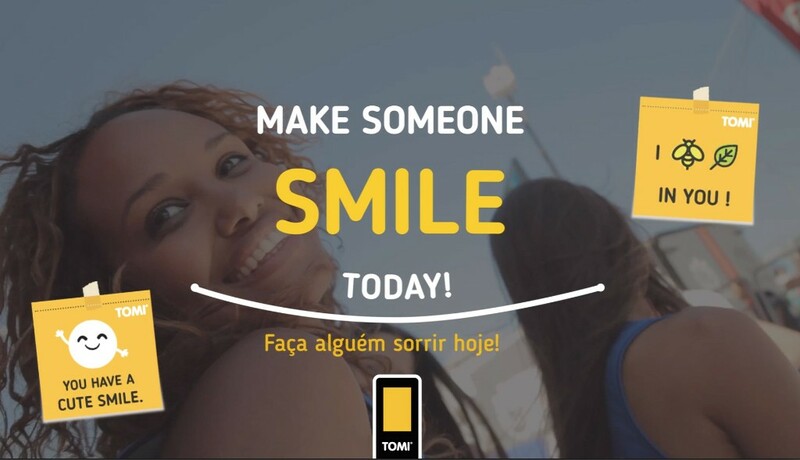 TOMI launched this campaign on the World Smile Day: people could take a photo with a motivational quote and sent it to friends to spread smiles. 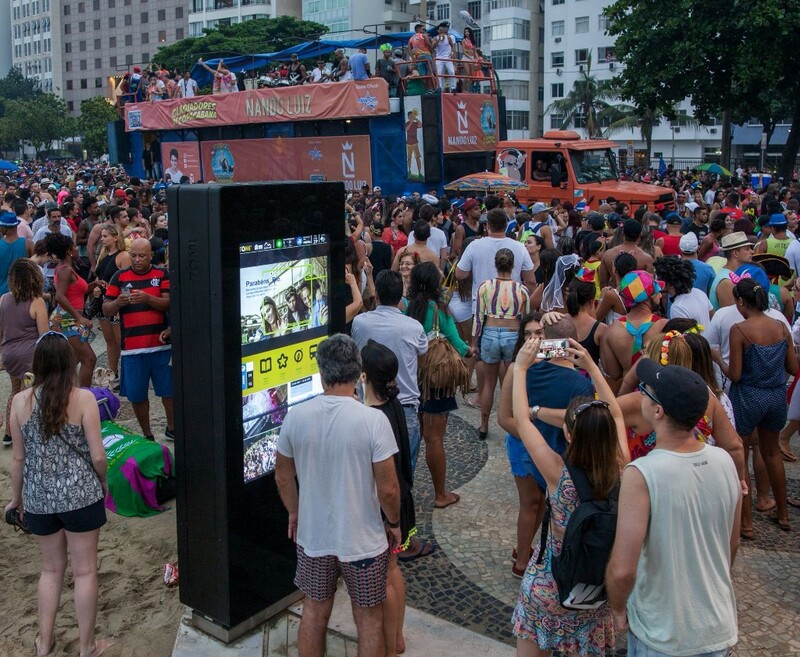 This campaign reinforced engagement with an immersive experience: that a small gesture, such as sending a photo with a special quote, can actually change someone’s day. 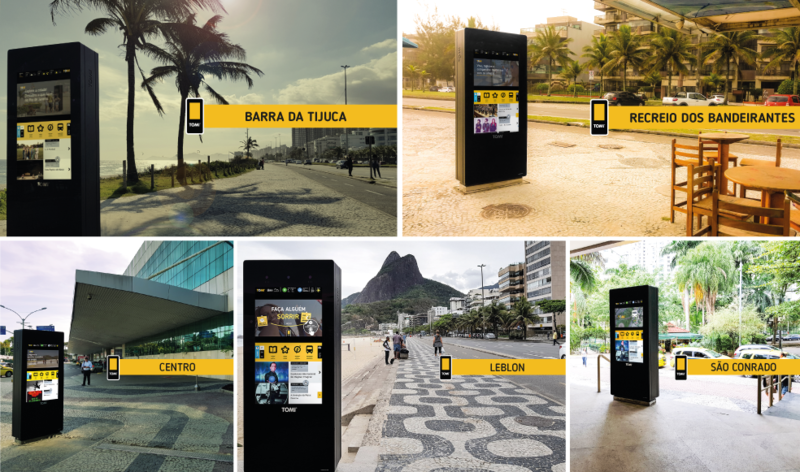 This campaign was launched in Rio to promote mobility and inspire people to wander around the city: every neighbourhood that has a TOMI got a special postcard frame for people to collect. 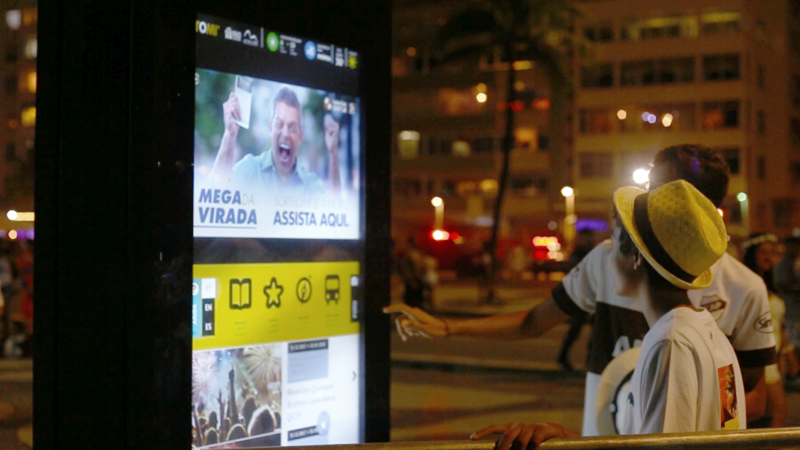 New Year’s Eve is very special in Rio de Janeiro which is why TOMI wished a Happy New Year to all the residents and tourists with a Power Ad! 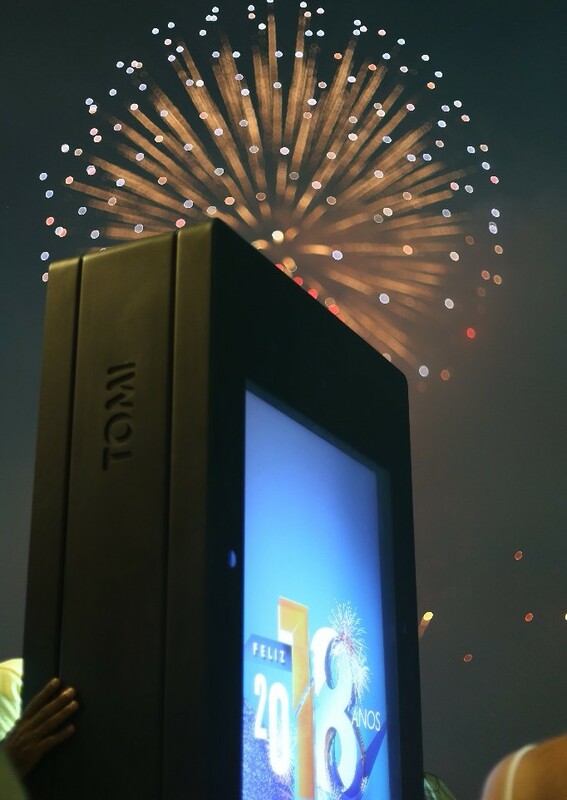 Our users started the celebration with some animated frames that made their photos on TOMI super festive! 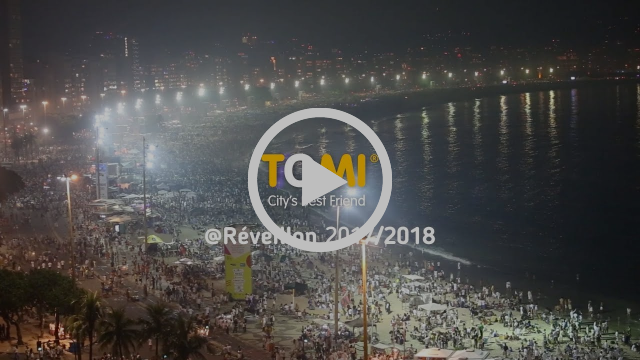 TOMI was again in one of the biggest celebrations in the world, the New Year’s Eve in Copacabana! 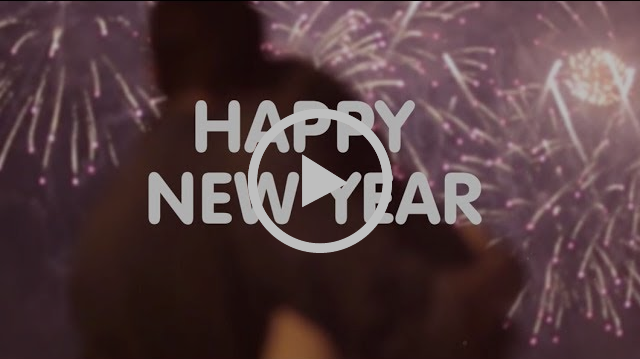 See the last moments of the year with TOMI. # TOMI is the right choice to communicate and create brand engagement! During 2017, various brands chose TOMI to communicate with their audience. TOMI also did the countdown in Rio with style. The Caixa Econômica Federal celebrated the New Year arrival with the 2018 countdown! TOMI helped to count the seconds to 2018 in both screens. During the New Years’ Eve, TOMI live broadcasted the raffle of “Mega da Virada”, the last lottery of the year! TOMI is always helping brands to create more engaging experiences! TOMI’s users could take selfies with brand-customised frames.